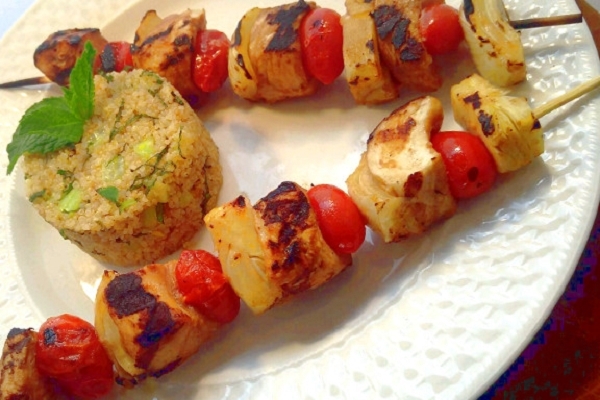 Tender Mahi Mahi in a balsamic dijon marinade skewered together with grape tomatoes and fennel. 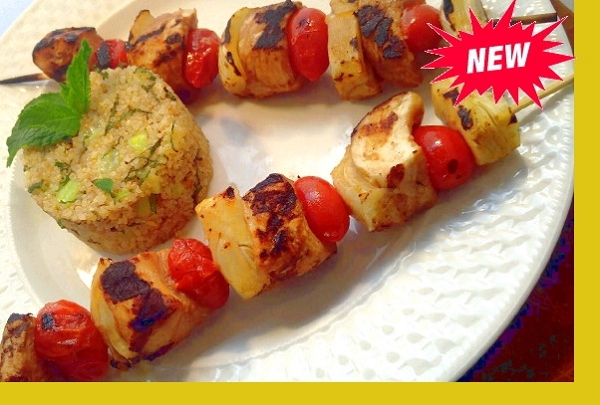 Served with quinoa - a superfood loaded with protein, fiber and minerals. Great weeknight dinner, just 10 minutes from grill to table. Preheat Grill. Grill kebabs about 3-5 minutes getting a nice char then flip over and grill an additional 3-5 minutes. Rotate to two remaining sides looking for nice char marks, about 30 seconds per side. Reheat quinoa and serve.